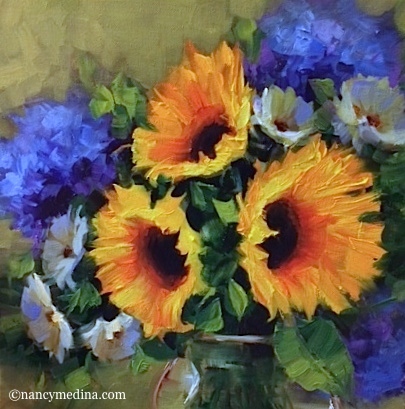 It's Giveaway Day in Flower Mound Studio, and Sunshine Trio With Hydrangeas, an original 14X14 oil painting on gallery wrap canvas, will be going to a new home very soon. All you have to do to be in the running for this free painting is visit my Facebook Fan Page and leave a comment under the image of the painting at the top of the page. Click here to enter to win Sunshine Trio! In other news, we had a special celebrity interview today. The Most Interesting Pug in the World, Java Cheesy, graced us with a few poses for the puparazzi. As you can see below, his dashing good looks, his little turned out toes, and googly eyes which can see both sides of the room simultaneously are just a few of his charms! 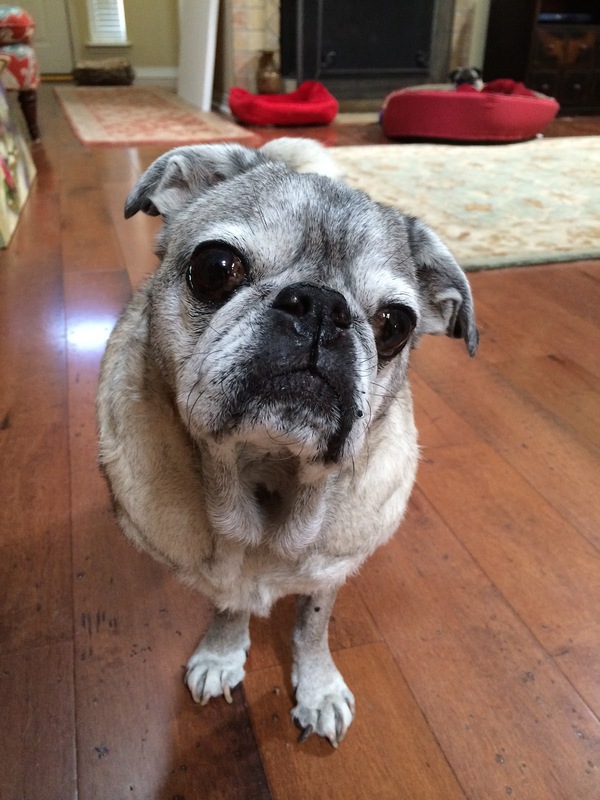 Java is our most senior resident in the Medina Foster Home for Wayward Pugs. He has been in residence for over 13 years now, having arrived at the wee and tender age of 6 weeks. He does like to remind us occasionally that, yes, this is his house, and we are all his guests! The most interesting pug in the world....Java!